This is a die-cut Butter Krust Bread porcelain sign. 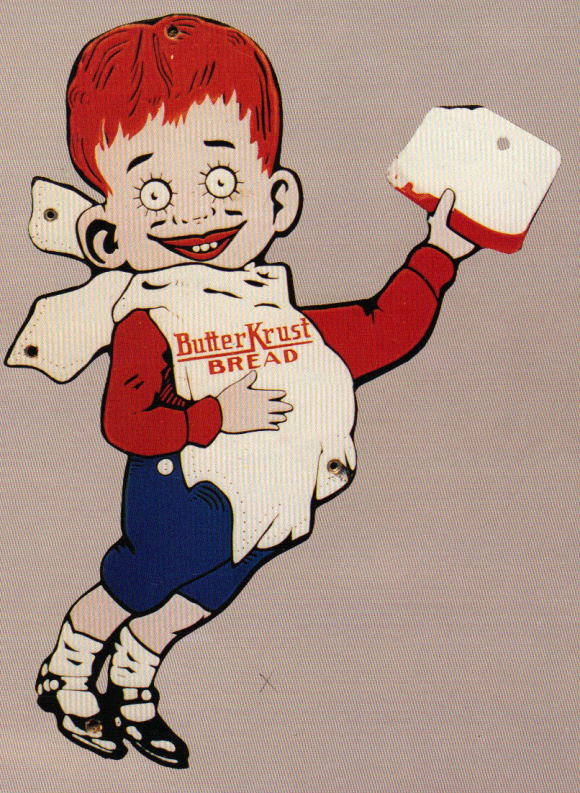 This particular Butter Krust Bread sign features a red-headed boy with wide eyes holding a piece of bread. He is wearing a large white napkin that reads, “Butter Krust Bread”.